The information you provide to us will be kept strictly confidential. However, please note that no attorney-client relationship is established by internet communication. No expectation or obligation is created by you contacting us or by us responding to your inquiry. Taylor and Associates does not represent you until you formally retain us as your attorneys. We look forward to discussing your case with you further. What type of claim or situation can we help you with? Has a claim been filed for your injury or disability? Are you currently receiving benefits or compensation for your injury or condition? Sebastian Brugliera has represented hundreds of injured people in his 30 years of practicing law. To him, being an attorney is a way to give back to the community and level the field for those in need. He graduated from DePaul University with a degree in finance and went on to the John Marshall Law School in Chicago. Sebastian is admitted to practice in Arizona and Illinois. He started his legal career as a public defender in Cook County, Illinois, before relocating to Arizona. 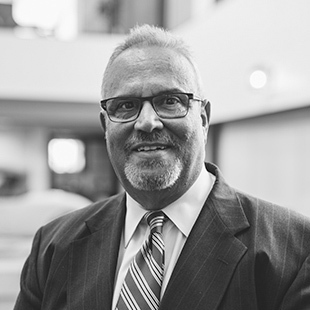 Since 1981, he has been practicing civil litigation, representing people who were injured and helping them rebuild after personal and economic loss. He finds it both humbling and gratifying to know clients have placed their trust in him to help when they are hurt and going through difficult times. Sebastian volunteers with St. Mary’s Food Bank Alliance and is an avid guitar player and vocalist who performs frequently at local blues jams. Sign up for our email newsletter to receive information about news, events and updates. ©2019 Taylor & Associates. MADE BY KITCHEN SINK STUDIOS.